Are you eager to upgrade your health and happiness while learning the skills you’ll need to maintain it?! 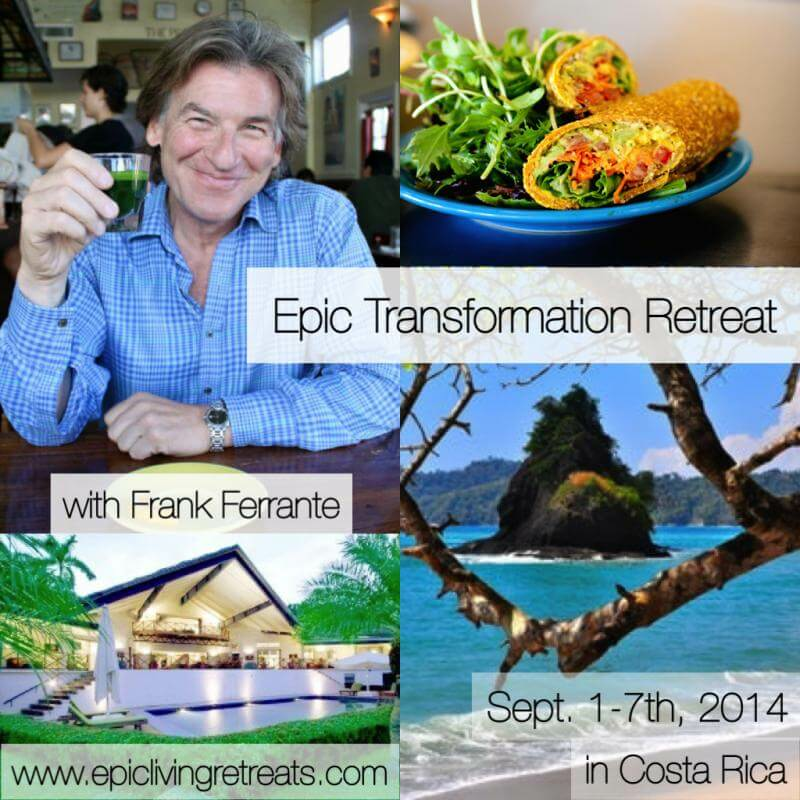 Make it easy and super fun by jumping into an all-inclusive 7-Day luxury wellness retreat featuring the inspiring Frank Ferrante from the feature film, May I Be Frank, and Hungry For Change. Join us in an epic living adventure with healthy lifestyle experts Frank Ferrante, Cat Maida, and Amber Zuckswert. Immerse in daily motivational seminars where Frank will teach you the tools for complete mind, body, spirit transformation. Train with Amber Zuckswert through challenging and rejuvenating yoga, pilates, myofascial release, and high intensity interval classes every morning. Learn how to make delicious plant based meals with Cat hands on in the kitchen. Experience a transformational health retreat and yoga lifestyle in the rainforest, steps from pristine white sand beaches in world-renowned Manuel Antonio, Costa Rica. Imagine daily in-depth nutrition and meal prep, empowering supportive group coaching, fun fitness, adventures to beaches and waterfalls, jungle hikes, and more! We’ll stay at the stunning Villa Pelicano with panoramic ocean views and an open air yoga deck.